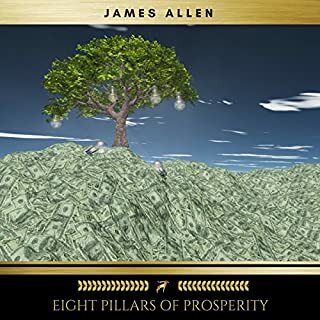 The concept of life as a pilgrimage, or a path from ignorance to realization, is central in the writings of the philosopher and New Thought pioneer James Allen (1864-1912). According to Allen, all men must and will follow this path, at the end of which is a state of spiritual satisfaction, which can be attained only by the earnest efforts of the seeker. While progress along the path necessitates the "strenuous tread" of the pilgrim, there are also valuable opportunities for rest and refreshment. 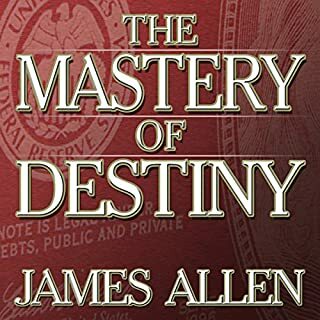 This is one of the last books written by James Allen. Like all his works it is eminently practical. He never wrote theories, or for the sake of writing, or to add another to his many books; but he wrote when he had a message, and it became a message only when he had lived it out in his own life, and knew that it was good. Thus he wrote facts, which he had proven by practice. To live out the teaching of this book faithfully in every detail of life will lead one to more than happiness and success - even to blessedness, satisfaction and peace. "In seeking for pleasures here and rewards hereafter men have destroyed (in their hearts) the Temple of Righteousness, and have wandered from the Kingdom of Heaven. By ceasing to seek for earthly pleasures and heavenly rewards, the Temple of Righteousness is restored and the Kingdom of Heaven is found. This truth is for those who are ready to receive it; and this book also is for those whose souls have been prepared for the acceptance of its teaching." 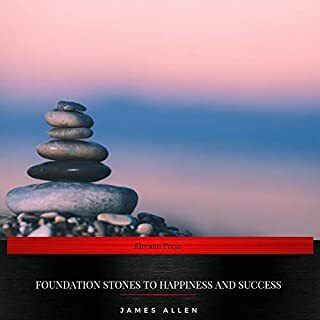 The "Way of Peace" is a New Thought book written by James Allen. Although Allen is more widely known for his "As a Man Thinketh", it is the lesser known "The Way of Peace" (1907) which reflects more accurately his New Thought Movement affiliations, referencing as it does Christianity, Buddhism and Hinduism. The book is essentially a treatise on the importance of meditation as a "pathway to divinity". Whatever we meditate upon, Allen explains, we become. The genius of the present age in matters spiritual is towards simplicity, and the hunger of the human heart is for Truth naked and uninvolved. That hunger will eventually bring about (is already bringing about) its own satisfaction, and here and there are men and women who, passing through the Gateway of Self-conquest, are entering into possession of the Transcendent Righteousness. 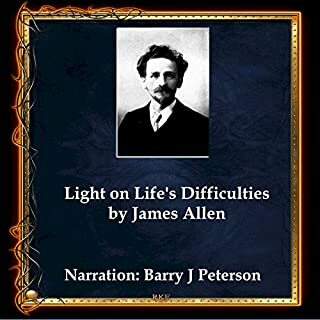 From the celebrated author of As A Man Thinketh this is another of Allen’s life shaping books in audio format. The Path To Prosperity will teach you the secret of ‘Health and Success’, How to discover and direct your ‘Personal Force’. Why the outside World is a ‘mirror’ of you. How to direct and shape your life to ‘Realize Your Prosperity’. How to escape any undesirable conditions that affect your life and change for the better. Every being lives in his own mental world. His joys and sorrows are the creations of his own mind, and are dependent upon the mind for their existence. In the midst of the world, darkened with many sins and sorrows, in which the majority live, there abides another world, lighted up with shining virtues and unpolluted joy, in which the perfect ones live. As satisfying as his other classic book. The Kingdom of God Is Within You is a nonfiction book written by Leo Tolstoy. A philosophical treatise, the book was first published in Germany in 1894 after being banned in his home country of Russia. It is the culmination of 30 years of Tolstoy's thinking and lays out a new organization for society based on a literal Christian interpretation. The Kingdom of God Is Within You is a key text for Tolstoyan nonviolent resistance and Christian anarchist movements. 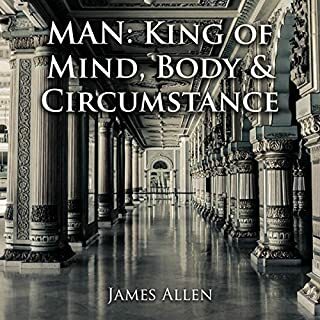 James Allen wrote this little book eight years after the phenomenal success of As a Man Thinketh. His forward gives an apt description of the book "We cannot alter external things, nor shape other people to our liking, nor mould the world to our wishes but we can alter internal things - our desires, passions, thoughts,- we can shape our liking to other people, and we can mould the inner world of our own mind in accordance with wisdom, and so reconcile it to the outer world of men and things. Two themes that recur very frequently in the works of James Allen are passion and purity. However, unlike many writers on moral discipline, the author regards purity as the natural state of man, which has been obscured by passionate attachment to external artefacts. Once the waves of passion are stilled, attachment falls away, allowing the seeker to attain a transcendent purity of vision and thus behold the reality that underlies the illusion of change. In the introduction the author writes: "The first three parts of this book, Passion, Aspiration, and Temptation, represent the common human life, with its passion, pathos, and tragedy. The last three parts, Transcendence, Beatitude, and Peace, represents the Divine Life - calm, wise and beautiful - of the sage and Savior. The middle part, Transmutation, is the transitional stage between the two; it is the alchemic process linking the divine with the human life. Discipline, denial, and renunciation do not constitute the Divine State; they are only the means by which it is attained. The Divine Life is established in that Perfect Knowledge which bestows Perfect Peace."